ArtMoney – программа, предназначенная для редактирования параметров в компьютерных играх, для получения бесконечных денег, жизней, патронов и т.п. ArtMoney is a cheating program you can use for all games. ArtMoney can make a troublesome game easier to win by helping you find the memory address where a desired quantity (like amount of money) is located so you can change that quantity. 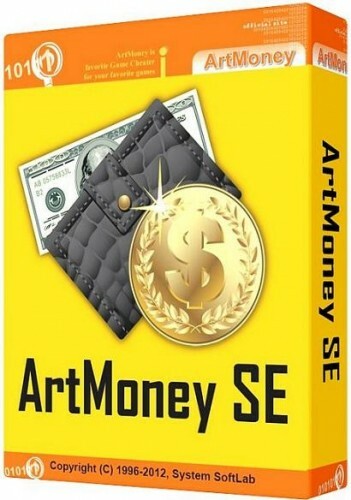 In spite of its title, ArtMoney actually allows you to change any quantity specified in a game, whether it be dollars, bullets, swords, or health points. The program finds a hex address based on the input parameters you set and prints these addresses with their corresponding values. For example, if your character has 1,431 dollars, ArtMoney searches and displays all memory addresses containing the value of 1431. Of course, as there can be hundreds of memory addresses displayed after a simple search, you will need to filter these addresses.